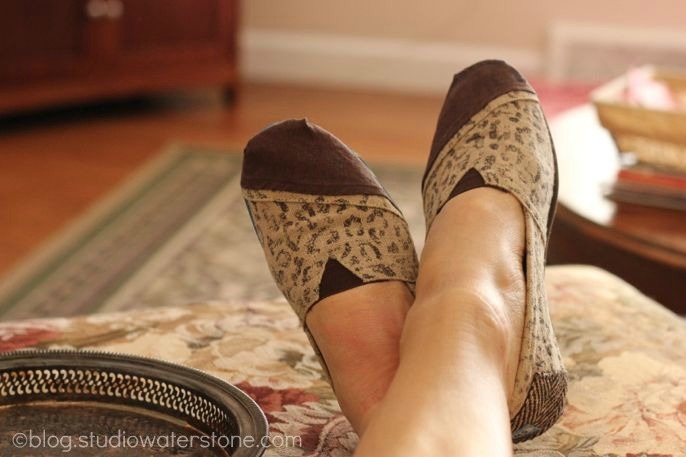 Do you own a pair of Toms shoes? I do and I'm telling you that they're like bedroom shoes - beloved, don't ever want to throw them out bedroom shoes. So, when my favorite pair of Toms began to wear through I refused to toss them out. Then I came across this tutorial. Yes, there was hope and I was up for the task. 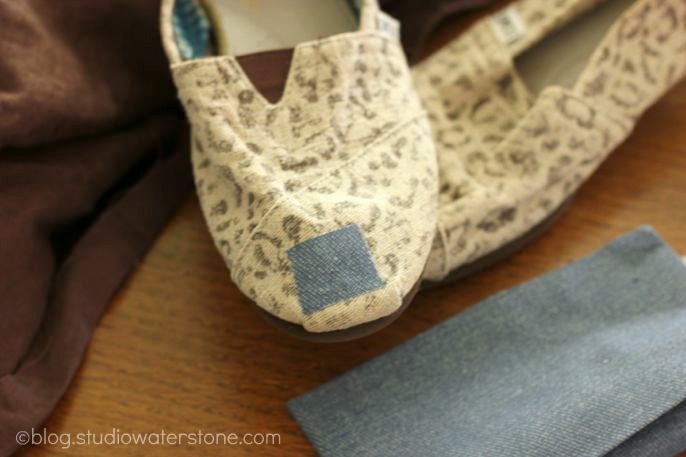 Using an iron-on denim patch, cover the worn part of the shoe. For the fabric cover, I already had a thrifted brown linen skirt which matched perfectly. I cut a section a little bigger than needed to cover the front of the shoe. To keep it easy, cut a section which has a finished hem along the top. 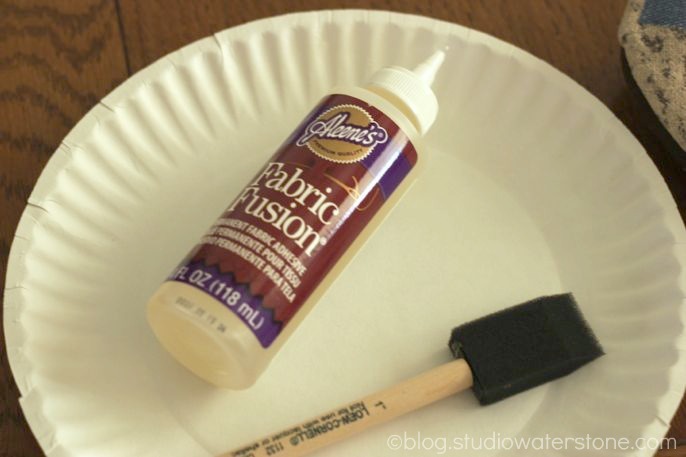 Use permanent fabric glue and a sponge brush to cover the part of the shoe to be repaired. Carefully apply the patch fabric and form to the bottom edge, trimming the fabric when applied. 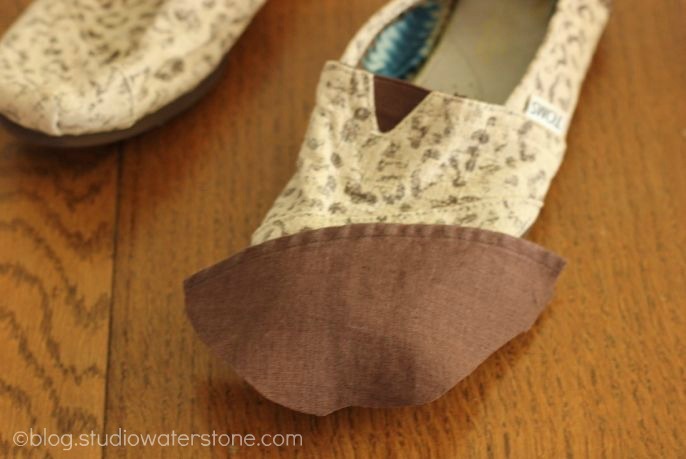 The blue edge along the back shoe is a large rubberband which held the fabric into place until it set. After two hours, the glue had dried and my shoes were repaired. 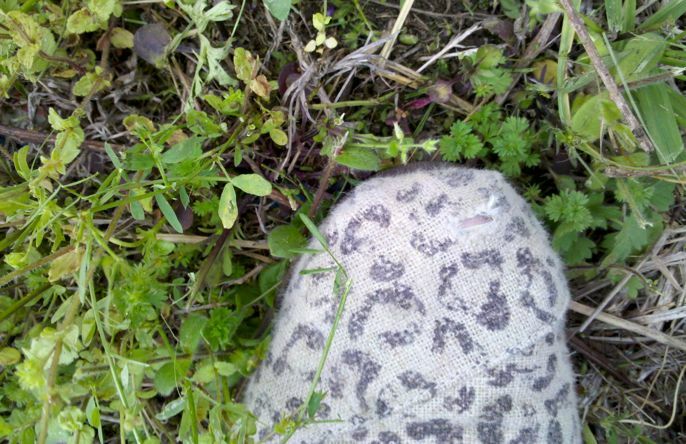 Favorite, bedroom slipper comfy Tom's saved. Yay, my daughter will be so happy about this. She still has her first pair which has a bit of a hole, but she doesn't want to get rid of them. 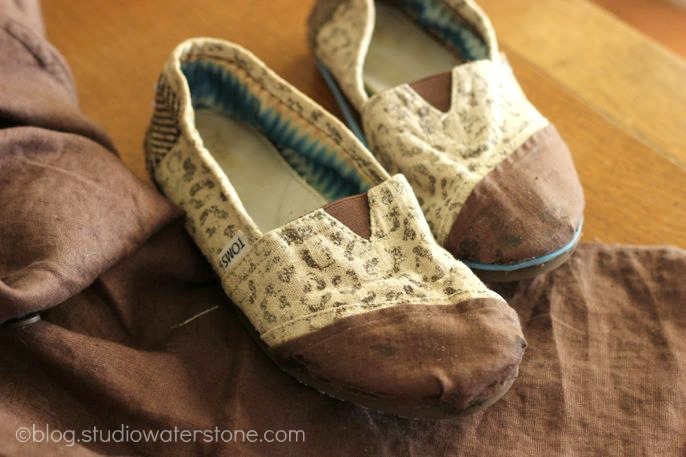 And what a fun way to transform them just a bit--like having a brand new pair! Thanks so much for the tutorial! Sure beats tossing them out! they look so comfy too!